can't believe it there is no Kamenashi and Yamapi!!!!!! haha lol I didn't see that coming. Wow Yayy to Oguri Shun. hmmm..not that many JE's this year last year they basically dominated the list. Really? Doesn't surprise me at all, lol! I was shocked to see Ichihara Hayato and Eita on the list...but maybe that's just because I don't particularly like them. I'm biased lol. Tired, wish there was no class tomorrow! Hey! 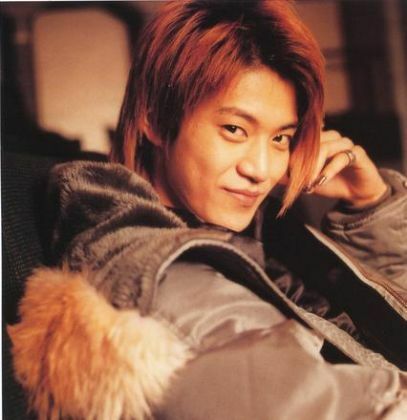 Oguri Shun's #1! Awesome! Didn't expect that, but nice. :] I DO love him. Even if it seems hopeless, I hope we receive happiness. isnt that good for u that Japanase gals not really attrack of him, then u have kinda big change for becoming ur wish, mrs. Tomohisa to-be? Yeahey!!! My Favorite Shun is on the List!!! with the Number one position!!! wahhh MIURA HARUMA is in it!! !